As the deadline to charge Governor Eric Greitens with another felony looms, all eyes will be on the Carnahan Courthouse in downtown St. Louis Friday. 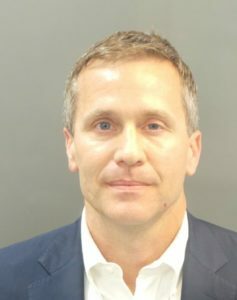 St. Louis Circuit Judge Rex Burlison on Thursday denied a motion to dismiss the felony invasion of privacy case against Greitens, likely giving the embattled governor a chance to defend himself in trial, which is set to begin on May 14. But the governor could be facing a new felony charge heading into the weekend after Missouri Attorney General Josh Hawley announced Tuesday he has uncovered a potential felony violationagainst Greitens. In a press conference held at his office, Hawley said the infraction is related to Greitens’ nonprofit, The Mission Continues, and that he has turned evidence over to the St. Louis Circuit Attorney’s Office. 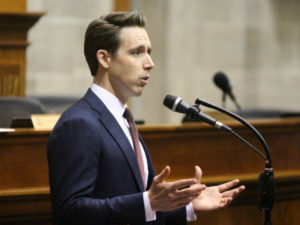 Hawley claims Greitens used a donor list from his former veteran’s charity to raise money for his gubernatorial campaign in 2016. Hawley said his office turned over the evidence to St. Louis Circuit Attorney Kim Gardner on Monday since the alleged crime occurred in the city of St. Louis. 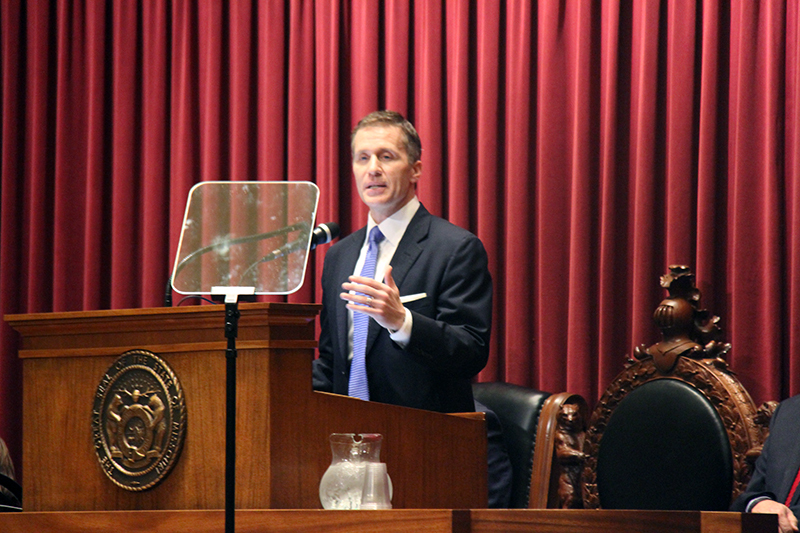 Ultimately, the decision to charge Greitens with a felony charge of tampering with computer data would fall in the hands of Gardner, who is also prosecuting the Republican governor in the felony invasion of privacy case. That decision would have to come by end of business Friday since the statute of limitations to charge runs out Sunday, according to Hawley. The St. Louis Circuit Attorney’s Office in a tweet Wednesday said they would review the evidence before making a decision on whether or not to charge Greitens with another felony. A day before Hawley’s announcement of the potential felony violation by the governor, Greitens filed a request for a restraining order against the attorney general. Check back to the SEMO Times for more updates on the Greitens saga.